It is every owner or landlord’s responsibility to ensure that his or her property is well taken cared of while being rented by the client. In this regard, having a form that collects essential and relevant information from the client during the application process helps verify if the applicant is capable and responsible enough to fulfill his or her monthly obligations. Various rental application templates and examples are included in this article for you to download and use. 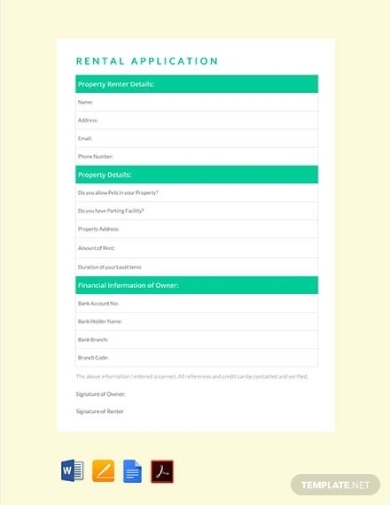 Every rental agency or property has their own rental application form; the form helps them ensure that the client provides all the essential information relevant to renting the property such as his or her complete name, address, contact number, financial information, and so on. If you are looking for the best template for this, you can download this one for free and download its contents as you see fit. 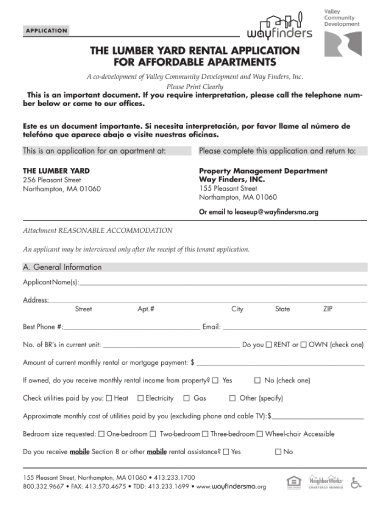 In the hunt for the best rental application form? This one is a perfect choice. It has accounted for all the essential information, from the renter and owner’s basic information down to the payment details. If you download this template, you can ensure that you have all the details that you need to make the transaction flow smoothly and efficiently. 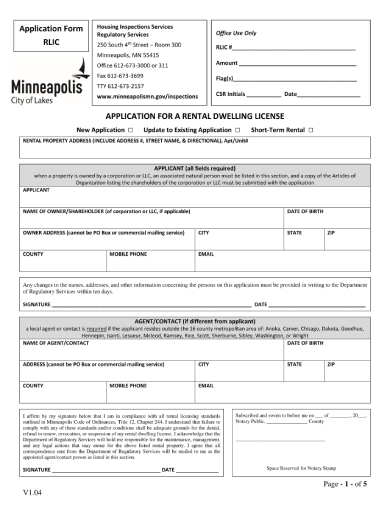 Having a rental application form that is specially customized to suit your needs and/or preferences will help ensure that the rental transaction between you and the client remains official and assured. It also helps you keep an accurate record of the client’s details. 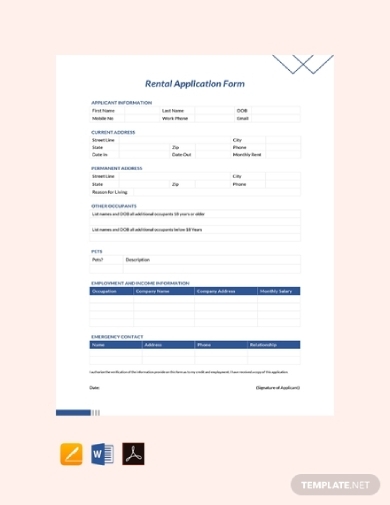 Thus, if you want a well-crafted form to use in the rental application process for your business, you can download this template and edit its contents Google Docs, MS Word, Apple Pages, or PDF. There is a need for a thorough background check and screening when renting an apartment. 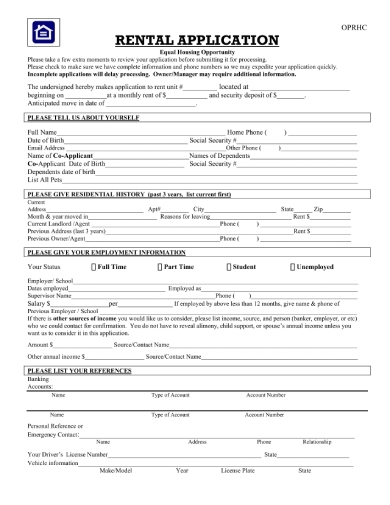 An apartment rental application form will be filled out by the applicant first so that the landlord can crosscheck the accuracy of all the provided information. 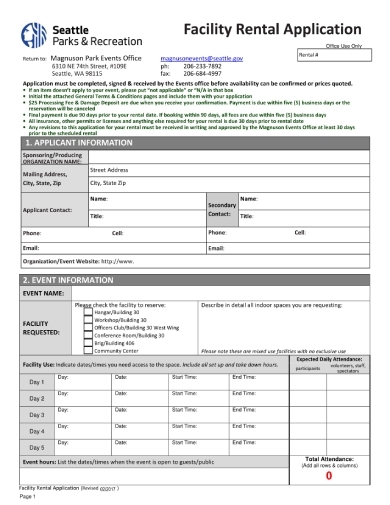 You can download this form template to get a head start with your application form creation process. As a landlord, it is your responsibility to ensure that the potential tenant has the financial means to pay off the monthly rental fee. In addition, it’s also your responsibility that he or she has no criminal records or tendencies to ensure a safe living environment for all. Hence, a rental application form is essential in gathering all the basic information of the applicant so that you can conduct a thorough cross-checking process. It is a responsibility of a residential rental property to ensure that the rental dwelling is safe and secured. Hence, various cities implement laws and policies that obligate the properties to acquire a rental dwelling license. 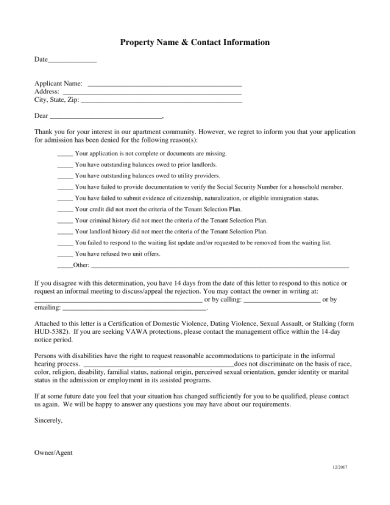 This rental dwelling license application form example is filled out by the property owner which is then submitted to the government for approval before opening the property to the market. The residential rental application process is quite tedious and intensive; the landlord or owner needs to ensure that the living environment of the residents is safe and harmonious. To ensure that the tenant is honest and capable, he or she needs to provide all his or her relevant information. 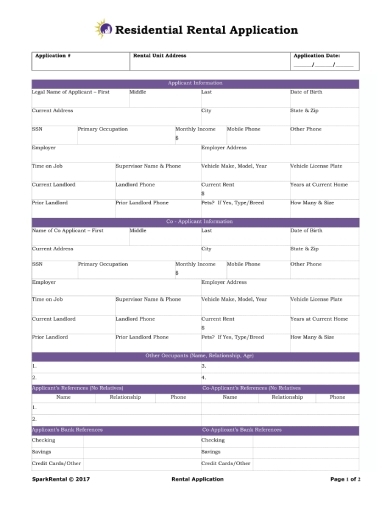 If you want a guide or reference when creating one for your own rental property, you can download this example for free. 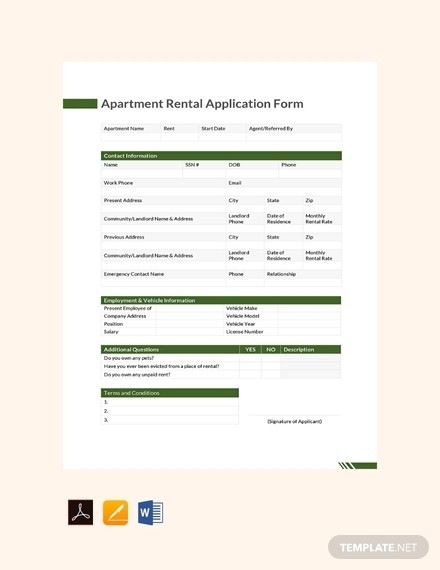 This rental application example is specifically tailored for campus room rental. Although it has the typical contents of any rental application, it gathers specific student-related information from the applicant. This example is detailed and is perfect to use as a guide, should you need one. 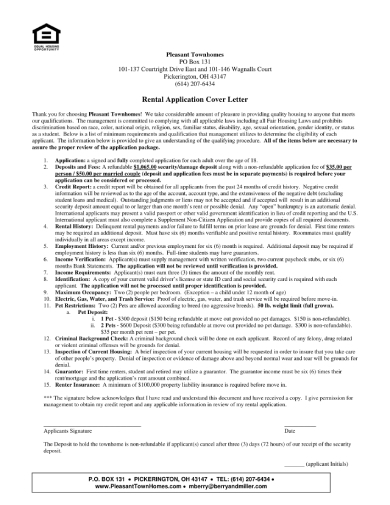 Aside from a rental reference letter, having a rental application cover letter will help you get that approval for the room or property you are planning to rent out. The cover letter will convey your purpose in renting the property along with your credentials that make you a qualified tenant or renter. This example is perfect to use as your guide should you need help in writing an effective cover letter. It is important to ensure that the living environment is safe and peaceful for all the tenants; hence, as a landlord, you need to carefully pick out the tenant who will rent your property. 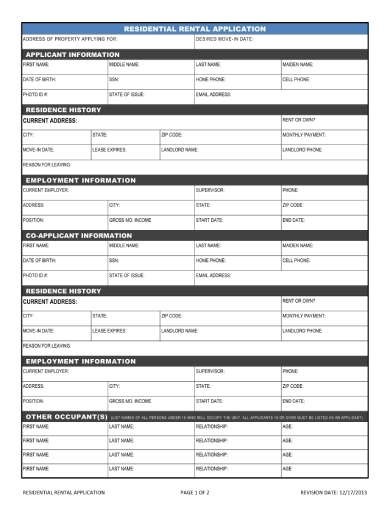 In order to efficiently gather the information from each applicant, you need to use a rental application form. With the help of the form, you can conduct a thorough background check. With the number of applications you receive for a single rental space, it is inevitable that others will be rejected or denied. But in order to maintain a professional dialogue, you need to formally send a rejection letter stating the decision to reject or deny his or her application along with a brief explanation. Some properties separate their reasonable or affordable accommodations from the expensive ones, this is to ensure that applicants know and can apply within the bracket they are capable of paying which in return helps both parties avoid the hassle. 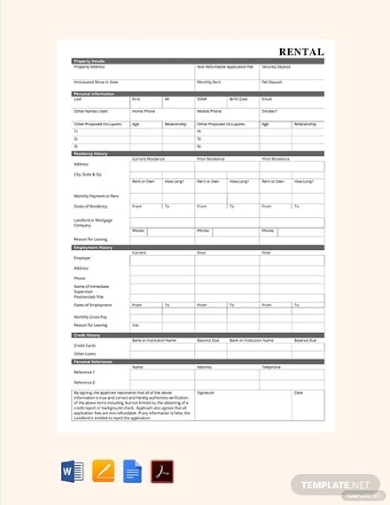 Same as the other rental application forms, this form still takes into consideration all the essential information that is needed for property rental such as the basic and financial details of the applicant. Some government properties and facilities can be rented out for any legal reason. 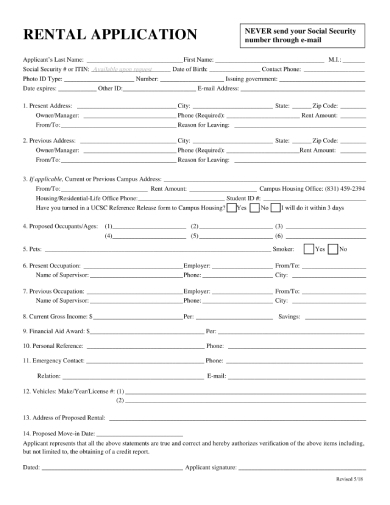 Hence, this facility rental application form is used when a client wants to rent a government facility such as a convention center, board room or hall, etc. The form is essential especially since the government has strict rules regarding liquidation and accounting; the information collected through the form and the form itself serves as a supplementing document to other officially required documents.